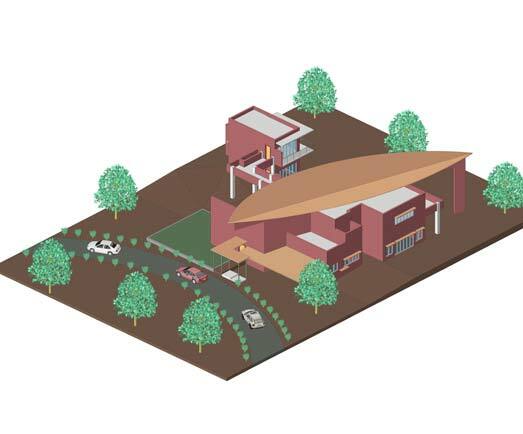 Home » How Does BIM Help in the Preparation of Architectural Plans? BIM means Building Information Modeling and it is a process wherein the entire lifetime of a structure can be viewed, before it is actually built. BIM services have been introduced to the architecture industry in order to look after the growing need for professionalism. Right from the stages of conceptualization, to laying down the framework, to the structural development, to the eventual demolition of it, everything about architectural plans can be covered via BIM services, which are used to develop architectural designs of any building structure. BIM allows architects to stay competitive in the complex market situations, as it allows every architect a bigger platform to perform on and a more innovative set of skills to execute their work. Also, BIM services give the architectural designs an edge over others and gives the architect the ability to predict a more accurate and efficient outcome of the final structure. BIM services facilitate designing of sustainable and accurate architectural designs. These BIM services are particularly helpful in avoiding errors and saving time. Because of these qualities of the BIM services which are translated into architectural designs, these services are usually preferred extensively for 3D modeling, making home plans and for architectural drafting as well. The advanced technology involved in the execution of BIM services allows architects to collaborate their architectural designs effectively, by way of more reliable coordination. Architectural designs can be made efficiently with the added benefit of higher profits and clients who are satisfied with the outcome. BIM services enable the process of creating architectural designs to be more efficient and achieve higher levels of quality. BIM services are said to make architectural designs and undertakings precise because the technology incorporates factors such as electrical piping and water and sewage systems of the building as well. Moreover, not only is the external structure well-defined, but the inner structure is also readily available through BIM services. Virtual representations of the architectural designs are also made easier with the help of BIM services, be it conversion of models from 2D to 3D, or the virtual tours wherein the floor plans are exhibited for the client. BIM services are being adopted by a large number of firms in the architecture industry because of how easy it has made the work of presenting well-executed architectural designs. These services are now getting popular in the industry and are expected to be an integral part of the architectural practices in future. BIM services make work easy and are definitely here to stay.